Choosing patio furniture is a huge decision and one that shouldn’t happen on a whim. After all, you wouldn’t pick your sofa at random without thinking about it and planning lots beforehand. Choosing your outdoor furniture shouldn’t be any different. Many of us consider our patios and garden spaces as an extension of our homes, so a well-decked patio needs careful consideration. If you’re in the know as far as outdoor furniture is concerned, then you will already be familiar with Woodard. 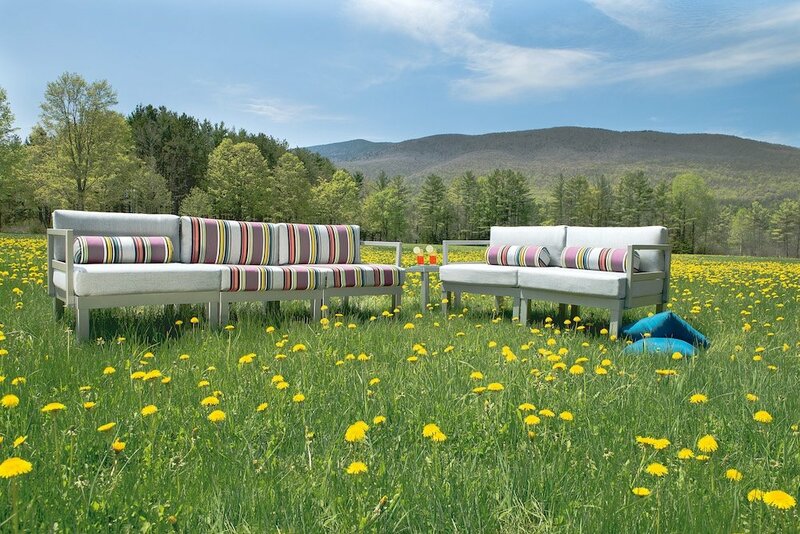 Woodard is one of the oldest outdoor furniture companies in the US and was founded way back in 1866! It is now the oldest wrought iron company in the US. Woodard has expanded its expertise in wrought iron to include many other different types of outdoor furniture. These include cast aluminum, extruded aluminum, and woven materials. Woodard uses only the best quality materials to make its furniture. Its iron furniture uses solid iron stock so that it is the strongest and most resilient furniture that money can buy. Their iron furniture is still hand-formed, a skill that has been passed down through the generations since the start of the company over 150 years ago. Woodard cast aluminum furniture uses only the purest aluminum ingots that are the highest grade and resilience available. Similarly, the extruded aluminum furniture incorporates the purest aluminum extrusions. If you’re after a wicker-style look, Woodard’s is the best there is. Their woven materials are designed to withstand all weathers and will last years. You can find more information about Woodard’s history on their ‘about us’ page on the website. This brand isn’t limited to residential furniture. The quality of Woodard furniture means it’s great for heavy, repetitive use and is a well-chosen brand for hospitality furniture! You are really spoilt for choice when choosing Woodard furniture. There is a large range of collections, each with a huge range of items within them. There are over 800 different seating options alone! So, whether you’re looking for a unique piece to add to existing furniture or a whole new outdoor furniture set, Woodard has it covered. Not only does Woodard have an extensive range of collections, but there are many other personalization options available. You can choose from different grades and styles of fabric. There are also lots of cord and fringe options. Additionally, there is a good range of wood finish options. The range available by Woodard means you’re unlikely to come across someone with the exact same furniture as you! We can’t talk about Woodard without talking about their fantastic range of fire tables! We all know there’s something mesmerizing about fire. Now, imagine sitting on your patio around a fire table. Woodard has over 50 different styles of fire table so you’re really spoilt for choice. Why would you want a fire table? A fire table can have many purposes. It can keep you warm, add ambiance, create light, roast marshmallows and even cook food. It really is a great accessory to have in your home.